Igor Bratož, born on 9 December 1960 in Ljubljana, Slovenia, is a writer, journalist and critic. 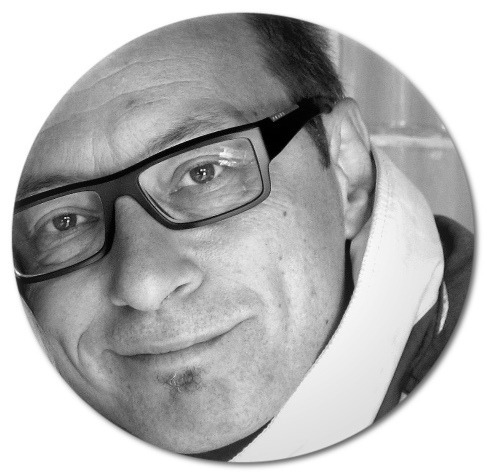 He studied at the Faculty of Arts in Ljubljana, working as a freelance translator and writer, publishing close to one hundred book reviews in various Slovene newspapers and magazines. Since 1985 he has been a regular book reviewer for the Literary Supplement of the daily newspaper Delo. He wrote the short story collection Pozlata pozabe (The Gilding of Oblivion, 1988; awarded the Golden Bird Award), and co-authored the collection Rošlin and Verjanko (1987). His short stories were published in Austria, U. K., Hungary, U. S. A., Mexico, Germany, Croatia, Greece, Lithuania and the Czech Republic. Igor translated into Slovene works by Raymond Chandler, Richard Brautigan, Raymond Carver, Donald Barthelme, Woody Allen, Harold Bloom, Mircea Eliade, Francis Fukuyama, Salman Rushdie, George Steiner, Mark Strand, John Rawls and others. He began his journalistic career at Delo as a reporter for the Arts Section, subsequently joining its Literary Supplement as a regular book reviewer and interviewer, and finally serving as its executive editor. He now writes commentary for the Arts Section. He was a member of the editorial boards of the literary magazines Literatura and Mentor, and since 1999 an editorial member of the magazine Sodobnost, one of Slovenia’s three leading literary magazines and the oldest currently existing one.